The BERETTA 1S is a signal pistol, standardly used by all Italian Armed Forces, firing 1 Inch flares. 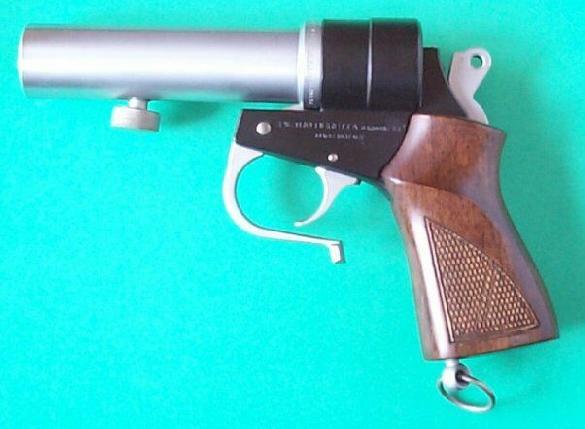 It feeds from a single-shot, top-break opening barrel. 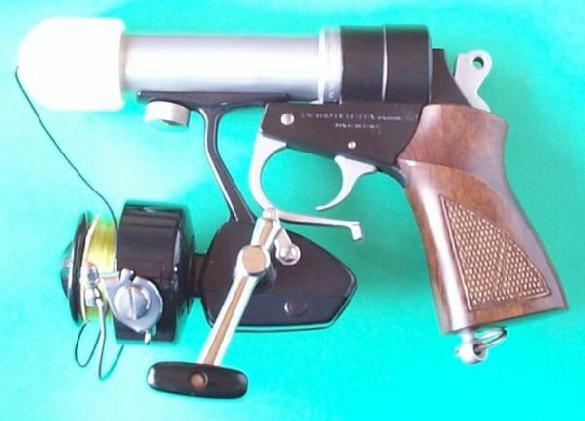 It can also be modified for use at sea, to launch fishing reels (this version is called 1S-LANCIASAGOLE, where LANCIASAGOLE means "Fishing Reels Launcher").